As a content provider for this site, I read and participate in a lot of message boards, blogs, etc, to keep up to date with the latest facial exercise and anti aging information. It has never surprised me that I very rarely see men participating in the discussions, other than one or two. Therefore, I was somewhat surprised to see the web statistics for Facial Exercise Central estimate that around 30 percent of visitors are male, so I began to look into Facial Exercise for Men. Most facial exercise products are marketed for women, and that doesn’t shock me in the slightest, as I think us females are most definitely at a disadvantage when it comes to aging. Quite a number of men become more attractive to women when they have a few wrinkles, as it probably says “experienced and knowledgeable” to a woman’s subconscious; attributes that are desirable in a man. Additionally, men have much thicker skin on the face as it is bolstered by hair follicles, so their skin is less prone to the effects of the sun, pollution and other factors that determine how quickly we age. The downside for men, is that there are not many skin care and anti-aging solutions products marketed for them, and if you have any questions about anti-aging products, you will usually find you end up speaking to a woman sales rep who may not be able to relate to your questions very well. Additionally, you may be discouraged to try facial exercise products when they look at the before and after pictures on vendor’s websites, and only see pictures of women. It maybe makes you wonder if the program would work for you as a man. Why aren’t more anti-aging products created with men in mind? Typically, caring about your looks and certainly worrying about a wrinkle or two, may not seem very manly. In recent years, this old-fashioned view does seem to be changing, and more and more skin care products are being made available for men. In the case of facial exercise, the long-standing programs are all written by women, and as the main target audience is female, it is little wonder the creators have marketed their products accordingly. On the subject of men and facial exercises, we should remember that although the majority of us women begin to develop interest when we see signs of aging, a good facial exercise program can do more than just diminish the appearance of wrinkles. It can strengthen a weak jawline, bring definition to cheeks, and delevop a more attractive facial shape in general. Therefore facial exercise for men is not just about anti-aging, face exercises can make a man look more attractive and therefore feel better, regardless of his age, as you can see by the before and after pictures below. 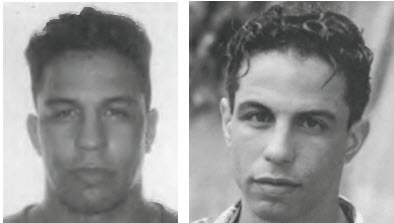 The “before” picture above was taken when the guy was 28 years old. His “after” picture was taken a year later at the age of 29. At this age, I doubt he was very worried about facial aging – but possibly did not like the shape of his face. Through facial exercise his cheekbones are much more defined, his chin is stronger and his eyes are much more open, which gives him an alert and younger look. There was just a three week time lapse between the photos of this 61 year old. He has managed to tighten his jowls considerably, his eyes are open, and what appeared to be a double chin has now almost disappeared completely. The good news for the guys, is the creator of Facercise, Carole Maggio has a facial exercise book on the market that is targeted specifically to men. Although many of the exercises are the same as the ones included in “Facercize,” Carole’s facial training program that is more geared towards women, there are no less than 11 exercises that are designed to be done while driving. This is very benefiicial for men who spend time commuting, or who maybe don’t find it easy to get time alone. if a woman spends a long tme in the bathroom no one questions it, but a as a man you might not want to have to explain what you do shutting yourself away several times a day! It is also good to see a man performing the exercises in the book, and the photos provided give a precise idea and description of how to do each facial exercise. Click on the link below for more information on Carole Maggio’s Facial Exercise for Men. Edit: I am not entirely sure why the Facial Exercise for Men book is so expensive at the moment. A cheaper alternative is to purchase Carole’s Facercise, which contains many identical exercises. 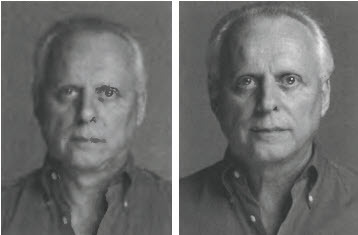 Another facial exercise program created by a man is Face Fitness by John Socratous. This is an online program that has the advantage that you do not need to wait for your purchase to arrive as you get immediate access to the tools and training videos. John’s program can be accessed by clicking on the link below.